Tons on information on how homeowners can sell their houses on their own are readily available online. Furthermore, there are numerous online portals or sites like Daft where properties can be listed. These sites make it possible for homeowners to advertise their houses using their smartphones, without leaving their homes. These are just some of the reasons why, in the real estate scene, the for-sale-by-owner (FSBO) process is gaining popularity. With the given information, you are perhaps wondering if you should attempt the FSBO process or go the traditional route and rely on a professional real estate agency. While it’s undeniable that selling your house on your own is fairly easier and cheaper nowadays, choosing the latter still proves to be more beneficial. A professional real estate agency can sell your house at a better price. Armed with years of experience and in-depth knowledge about the industry, their property agents can negotiate with potential buyers for you to get a more lucrative offer. A professional real estate agency can also effectively market your property. There’s no doubt that you can easily create an ad for your property. However, do you know the kind of ad that grabs the attention of homebuyers? Professional property agents do because they are seasoned marketers. They know what types of photographs catch the eyes of homebuyers searching online. They can craft a property description that’s going to resonate with your target market. Simply put, you can count on them to create an ad that’s going to compel homebuyers to visit your property. With their help, you can expect more visits and more potential buyers which translate to higher chances of selling your property right away. They can vet potential buyers for you and ensure a smooth transaction. How? Property agents can secure pertinent documents to ascertain a buyer’s credit rating. Additionally, they are capable of probing and verifying where a client is going to source the fund for the purchase. By doing this, they are able to safeguard you from unscrupulous homebuyers and problematic deals. Lastly, letting professionals sell your house saves you time and energy. Note that putting your property up for sale isn’t just as simple as creating a listing, showing the property to buyers and accepting an offer. There are other things that need to be done such as staging the property, scheduling inspections, preparing documents and talking to lawyers. You’d also have to immediately respond to inquiries and to accommodate buyers who want to see the house. Tedious, right? So, unless you have the time and energy to do all these things, it’s best to tap the help of a property agent. In summary, given the benefits associated with it, getting the services of a professional real estate agency is still the way to go. So, don’t let the thought of paying a service fee deter you from choosing this option. Think of the fee as an investment that brings in great returns like receiving better offers for your property, getting expert service and selling your house minus the hassle. 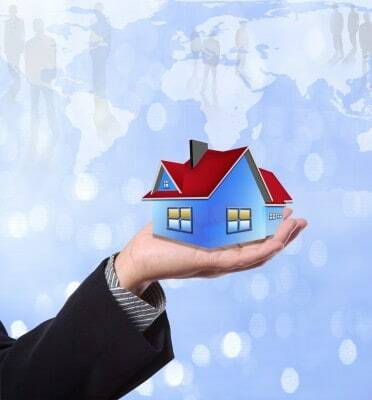 Get expert help in selling your house without worrying about excessive fees. Call us today at 014959020!